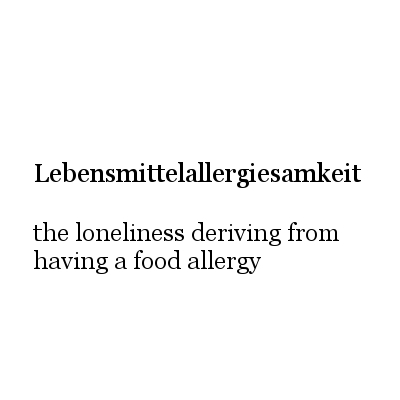 So last year, for (more than) 100 Days in a row, I have invented a German word a day trying to express feelings that felt important, quirky or invisible. This is what I wrote before starting the project while the following are thoughts I’ve collected along the way, which I felt deserved to be explored. You know that weird sense of suspension felt when you can’t find the right word for something? That feeling is what defined/haunted my first year in Germany and what – I suspect – defines/haunts the life of anyone who moves to a country without speaking the language. Just to be clear: It is not terms like “demagogic”, “astonishing” or “pretentious” that you’re temporarily missing. Instead, you have the urge to say “chair” or “bus ticket” or “I’m sorry”, only to find that those words are nowhere in your brain yet. When I read about the 100 Days challenge launched by the Great Discontent, an idea hit me right away. What if among all the feelings and concepts I was struggling to express in my expat life, there were some which never got their entry in the dictionary?